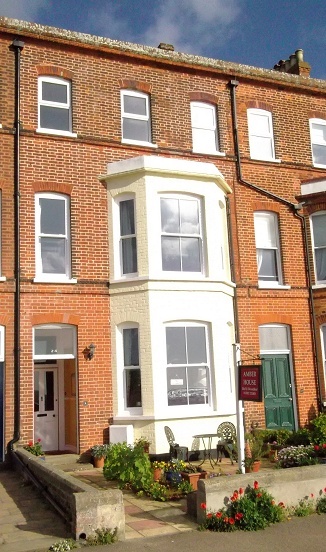 A warm welcome awaits you at Amber House an elegant Victorian House situated on North Parade overlooking the sea, the award winning pier, and with superb views along the coast to Covehithe to the North and Dunwich to the South. The town with its excellent variety of shops, superb restaurants, tea rooms and pubs where one can sample our famous Adnams beers are all within easy walking distance. Amber house has been owned by Di Spring for many years and is now assisted by her daughter Lou. 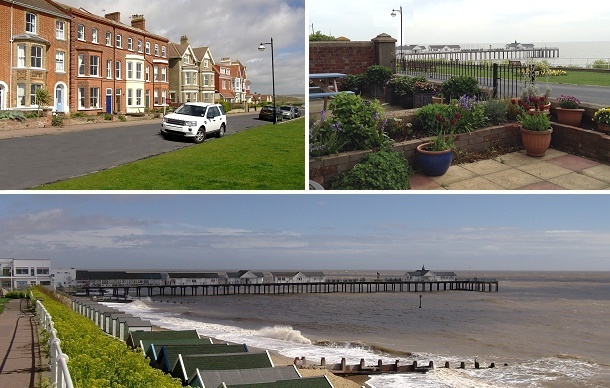 We offer a friendly homely and relaxed atmosphere to all our guests many returning year after year for either a relaxing holiday or to explore the interesting towns and villages that Suffolk has to offer.